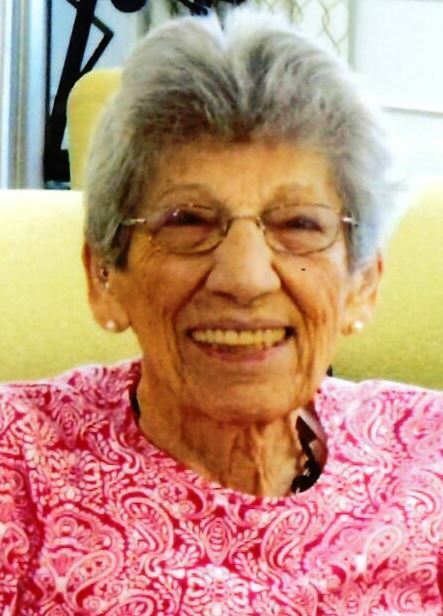 Obituary for Concetta M. "Connie" (Calabrese) Hagenbuch | Bruzdzinski Funeral Home, P.A. Beloved wife of the late Robert E. Hagenbuch. Devoted mother of Sharalyn Luciani and her husband Barry, Mark S. Hagenbuch and his wife Carol, Kim Shapiro and her husband Mike Pierce and the late Judy Ann Loudenslager. Also survived by her grandchildren; Karlee Hagenbuch, Krysten Hagenbuch and Noah Hagenbuch. Friends may call at the family owned Bruzdzinski Funeral Home P. A. at 1407 Old Eastern Avenue, Essex at route 702 (beltway exit 36) on Tuesday January 29th, 2019 from 3 to 5 and 7 to 9 PM. Funeral services on Wednesday January 30th, 2019 in Hope Evangelical Lutheran Church 1901 Middleborough Road Essex, Maryland 21221 at 11:00 AM. A private cremation will be held immediately following. In lieu of flowers please make donations in Connie’s name to the Hope Evangelical Lutheran Church, 1901 Middleborough Road Essex, Maryland 21221.